Enter your email address below to receive a notification when Blockhead Box by Fight4Them starts accepting new sign-ups! 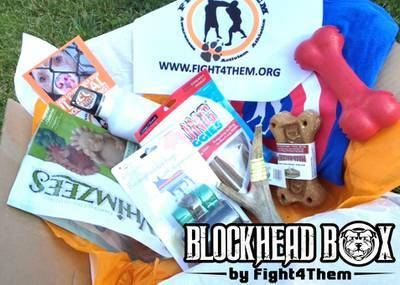 Enter your email address below to receive a notification when Blockhead Box by Fight4Them is accepting new sign-ups again. A box for ruff and tuff mutts... and their owners! 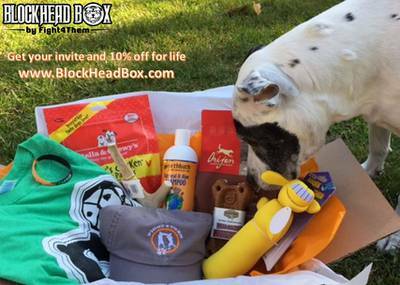 Blockhead Box is the ultimate dog subscription box for your favorite blockhead. Each box is filled with items that we know both you and your dog will love! We ensure that all of the products included are of high-quality and extremely durable. Besides getting a great box of gifts for you and your dog to tear into, you will also be helping out a good cause! Subscribe today! 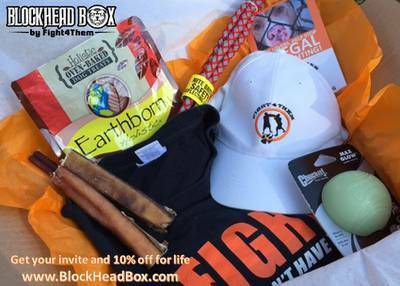 Blockhead Bag (Apparel and Toy): 1 durable chew toy and apparel (t-shirt, hat, bag, etc.) for you! I love this box for what it stands for. However, I expected a bit more after some of the unboxings I saw on YouTube. Such a great box !! I absolutely love this box !! I've tried others in the past, but this one is my favorite. The toys are great and very durable. 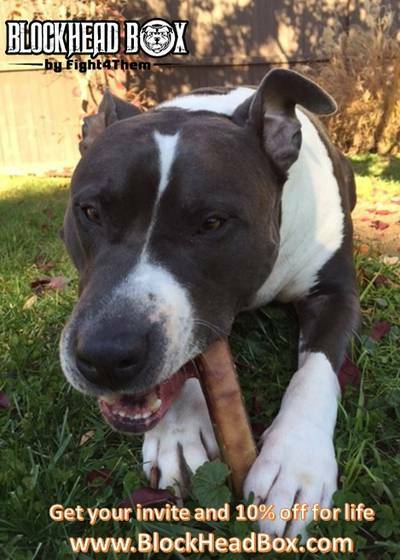 I have 6 pitties and they are really rough on toys. They always love the treats and I LOVE the t-shirts. I nearly get as excited as my pups do when I see the box delivered. My furbabies loved the toys! Big, big hit! !